Dorothy O’Connell is an activist, author, playwright and poet laureate of the poor. The monument that bears her name honors her anti-poverty work and focuses attention on the issue of ending poverty. The image is a slice of bread with a house removed from it. The removed piece forms a podium and bears the title of the monument, symbolizing the hard choices poverty imposes on people. 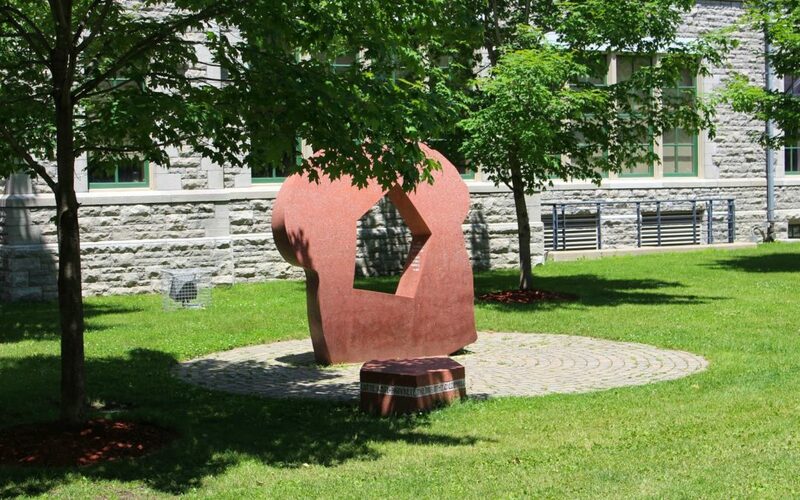 The monument is located on Ottawa City Hall grounds. The words engraved on the interior edge of the cutout read, in English and French: “Poverty stops equality / Equality stops poverty.” It was unveiled Oct. 17, 2004 on the United Nations’ International Day for the Eradication of Poverty.